First, you must remove your existing hub. Lift your trailer an support. Remove wheel. The dust cover cap is the metal cap at the center of your hub. Gently tap a screw driver behind the "lip" and pry the grease dust cap off. Under this cap you will see a large nut, along with either a cotter pin, or in some newer models, and small metal "clip" over the nut. Either straighten the cotter pin and remove, or pry the small metal clip off the nut with a small screw driver. It just "snaps" over the nut, and pops right off. The nut should be loose. 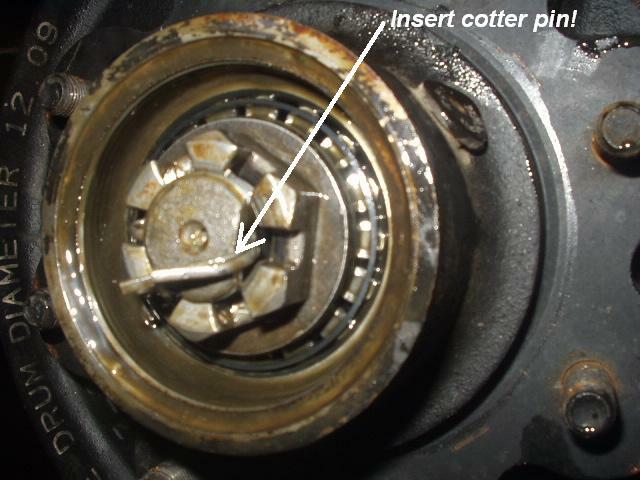 Remove the nut, a washer will be behind the nut, and the "outer" bearing. These will fall in the floor if you don't catch them. Remove the nut and gently pull the entire hub off the axle. You should end up with something like this. Next, Find the CORRECT backing plate. These are marked left or right. That is if you are sitting in the drivers seat looking forward. The magnet always goes on the bottom and the "arm" to the Front! Install the lock washers under the nuts and tighten. 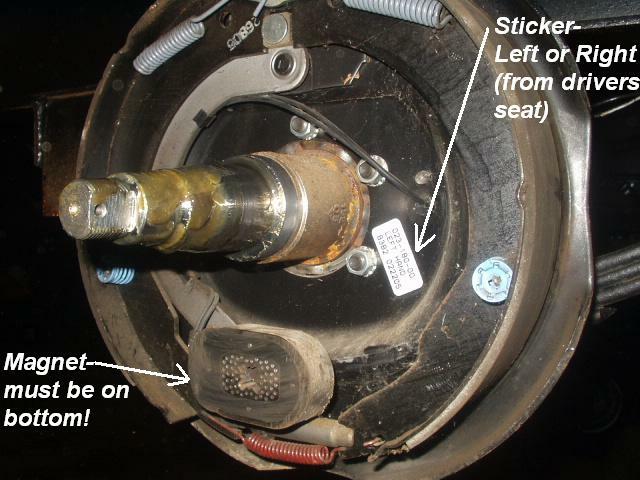 Notice the two green brake wires (one end it "tucked inside the back plate in this picture). On brake magnets, these is no positive or negative, (they are not grounded) so it does not matter which wire you connect. 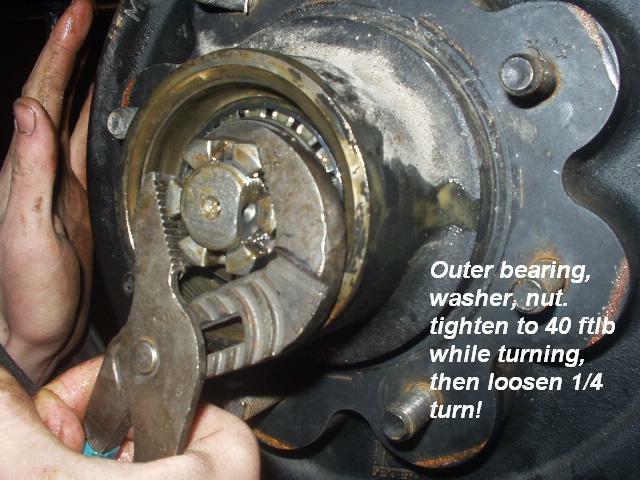 Make sure the outer bearing is greased, and put in the hub, then the washer, and then the nut. Thread the nut down, and turn the hub as you tighten it. While turning, tighten to about 40 ft pounds (pretty tight, to seat the bearing and hub). After the nut is tight, stop turning the drum, and gently loosen the nut until it is finger tight. Insert the cotter pin. 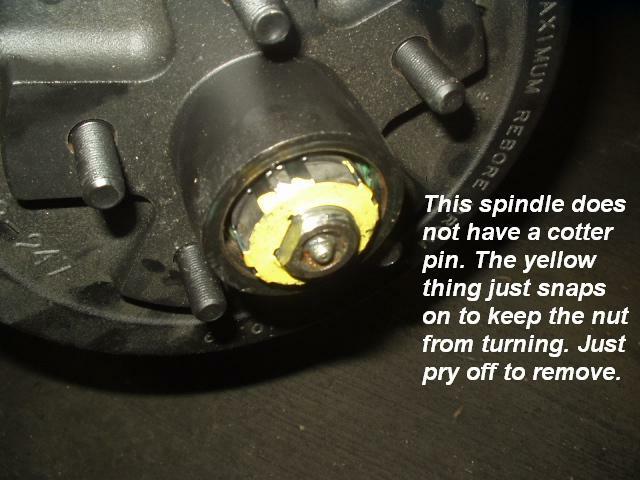 With out this, the nut will spin off, and you will loose the tire!. If the nut is left tight, it will burn up your wheel bearings! it must be finger tight only! 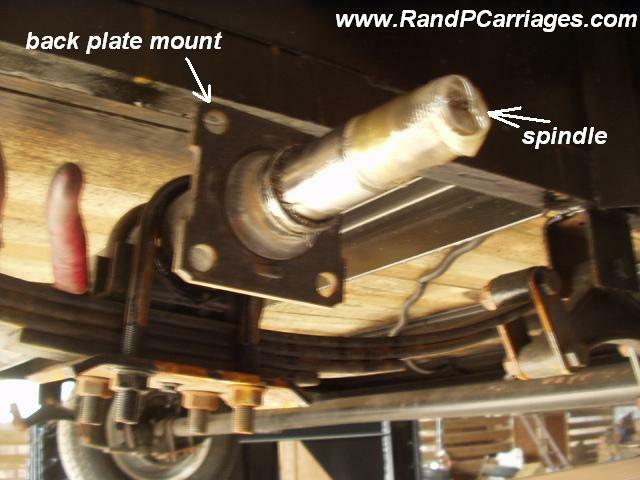 If you axle has the metal "clip" over the nut (see picture above) the just line up the flat side of the hole with the flat side of the clip, and snap it on. Wiring is pretty simple. You want to route your wires so they will not get damaged. 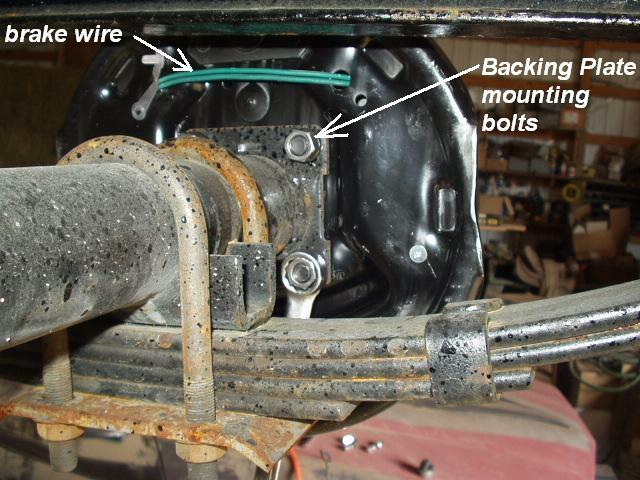 Use two conductor double jacketed wire for your brakes. The brakes are not grounded, so the wires coming out of the back of the brakes does not have polarity ( no hot or ground). It does not matter which wire you connect to which wire, only that they are not connected to each other! 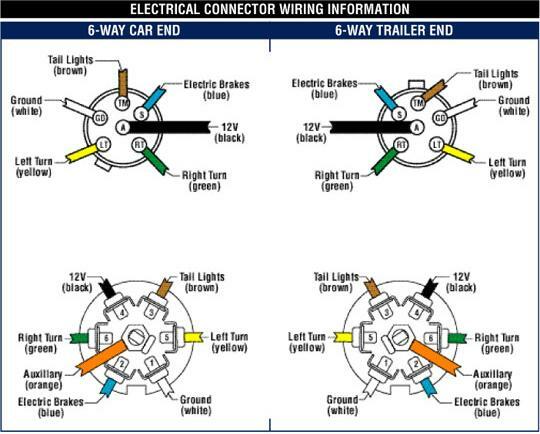 Run a the two conductor wire to each brake, and hook to the two wires on the brake. 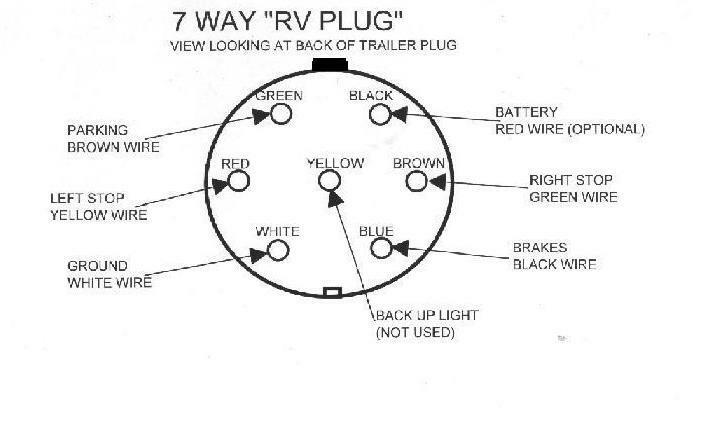 I start at the front, and I run the wire from the front truck plug, back to one brake, connect the wire, then continue across the trailer to the other brake, and connect. I often will run a wire along the axle tube, and secure with zip straps. Connect the new two conductor wire you just ran as follows: one wire to the "BLUE" terminal on the back of the plug. This is the brake feed wire (the black wire in the two conductor wire if you got it from me). Connect the other wire to the "WHITE" plug (often the white wire). This is the trailer Ground. 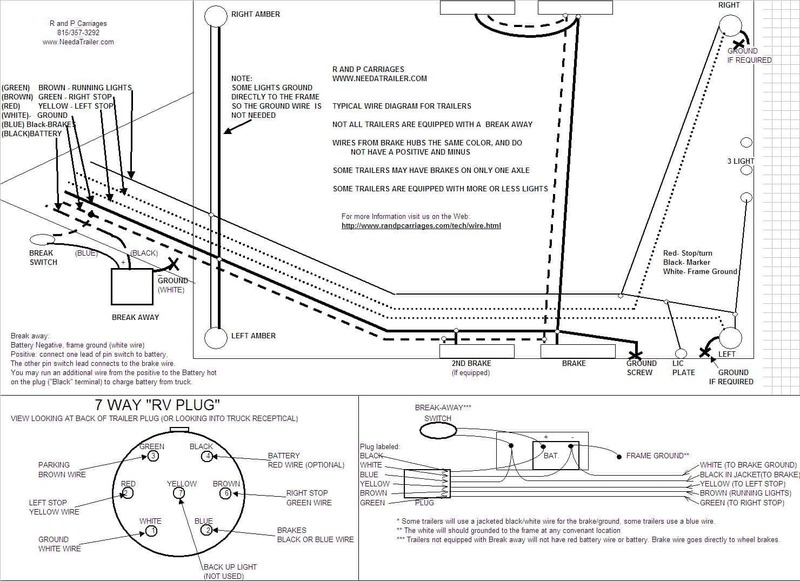 The WHITE wire will connect to the "WHITE" terminal (along with the brake wire) for a ground. Connect the Green wire (Right stop light) to the "BROWN" terminal. I know, the colors code on the plug is messed up. But above is how they connect.